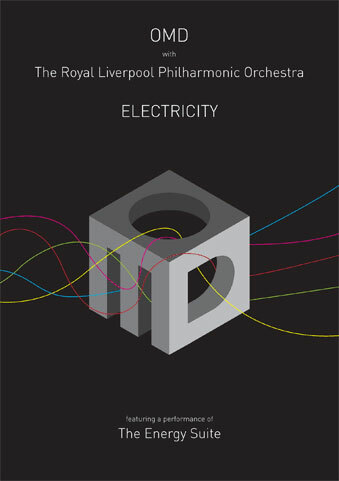 OMD Celebrate 40th Anniversary with Book, Orchestra… and STANLOW! We interrupt the loooooong OMD thread for some significant OMD news. Like another of my favorite bands [Simple Minds] this year is the group’s 40th anniversary. Simple Minds are doing a brief tour [now finished] with their new album played, followed by a Q+A session with the audience, and then a second set of catalog material. The new Simple Minds album is outstanding [more later], so I applaud playing it in its entirety, but the Q+A seems like a buzzkill bifurcating a live concert. No such tomfoolery for OMD! This morning they announced a two pronged attack on their 40 year legacy that sounds very intriguing indeed. 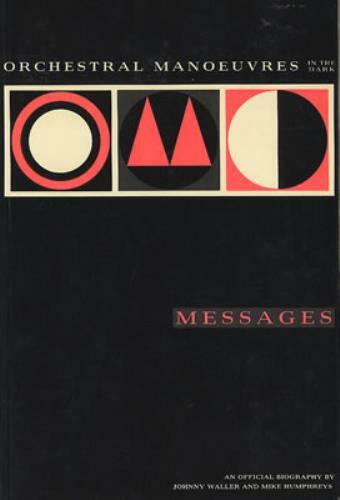 It’s hard to believe, but to date I can tell of only a single book on the subject of OMD: 1987’s “Messages: An Official Biography” by Johnny [“The Phil Collins Story”] Waller and Mike [Paul’s brother] Humphreys. I’ve never seen the volume, and it’s apparently so thin on the ground that the former OMD forum had a pool whereby a single copy made the rounds to all who wanted to read it. One at a time. I never bit. I thought I’d wait for it to pop up in front of me one day and then buy it. Now I can give up that notion because OMD are making a new, up-to-date book that is being published later this year by Red Planet Publishing, who have an extensive line in music oriented books. Taking a look at their roster reveals – gasp!- rock-oriented books that are priced for all to buy and read instead of being £1459 bespoke hardcover editions of 25 with DNA samples of your favorite artists smeared on a special tipped in individually numbered swatch of glow-in-the-dark synthetic paper. Another of my [many] beefs are the publishers [see: Genesis Publications] who craft alluring tomes that cost more than my paycheck for an audience of monied elites. I have no problem with every band I love getting their own coffee table book [preferably hardcover] and selling it for $50-100. I’m fine with that. Hopefully, this mooted OMD volume will be the sort of visually stunning tome that they can get Peter Saville to design the cover of. It’s provisionally entitled “Pretending To See The Future,” a good title, if you ask me. It will cover the band’s formation right through their current tour of 2018. Of course Andy + Paul are contributing to is as well as many of the people who have all worked on the OMD project over that time. and we’ll see what we end up with by the end of the year. If you’ve got the funding, all of the sales info can be found here. How I’d love to actually hear “Stanlow” in my lifetime, but I just don’t see it happening unless something shocking happens. This entry was posted in Core Collection, Designed By Peter Saville, Organ Auction Live Event, Tourdates. Bookmark the permalink. 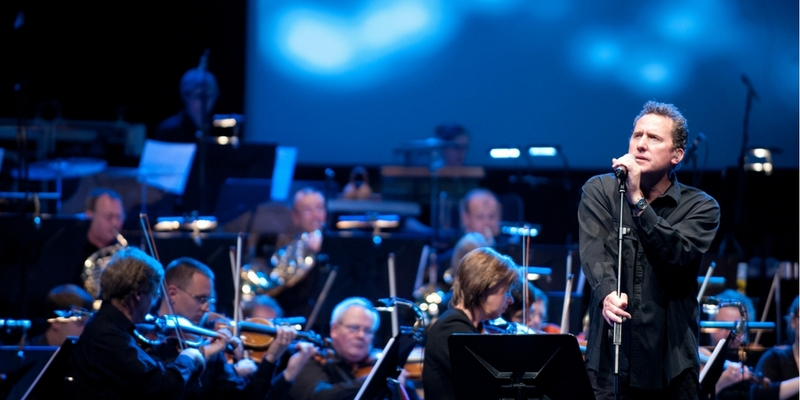 15 Responses to OMD Celebrate 40th Anniversary with Book, Orchestra… and STANLOW! Are you going to see them when the tour here in march/april? Eugene Unger – Oh, I had my Atlanta tickets for at least six months! I’m good there. We probably won’t get “Stanlow” on the set list but I’m anticipating a good show anyway. There’s no way I could justify such costs. I have the book pictured above,it is excellent.I didn’t realise it was so scarce.If I find a copy I will get it for you PPM. For a very small price,Julia Kneale’s autobiography is available as a kindle or paperback,it is a great read concerning the early years of the band. I don’t think I will be attending the Liverpool show…hmmm…I may possibly change my mind.You must think I’m mad,but there you go. Gavin – You are mad! One of my best friends is now digging through layovers in Istanbul and Liverpudlian hostelry in an attempt to scare up an OMD international trip of my high school clique that would be quarters on the dollar from what I was expecting. He’s got me half convinced but I can’t even imagine spending $2K on the eleven day trip he’s positing. Though it is an an achievement in an of itself. I know,I know,I shouldn’t have said anything!I just don’t fancy it on this occasion. I saw them a few years ago with John Foxx,was a pretty good gig. My life will be complete later in April,when I finally get to see my favourite artist,Harold Budd,live in London,supported by my good friend Robin Rimbaud aka Scanner.Thats my ultimate gig. Gavin – May I point out that you do not get to pick the occasion where “Stanlow” gets played! That’s a very limited offer. Well, I certainly can’t fault you for going to London for Budd! He saw him once – in town! We had tickets to see him again for the Big Ears Festival three years ago but he fell and broke a rib two days prior and while we were waiting for him to set up for a midnight performance in the Knoxville Art Museum, we only found out then that he was not playing. I guess it was folly to think we could see him twice. Yup Stanlow is among the songs I would want to hear OMD in it’s current form and fashion – in a perfect world. Also among those played live in my perfect world would be – Sealand, The Beginning And The End – blended into Enola Gay, Statues and The More I See You and Annex. As tempting as OMD with the LPO, it’s right after my already paid for 2wks in Spain. There wouldn’t be a desk to come back to at work if I took that much time off in 2 months. Stanlow was played in 2008 on the UK dates billed as the 30th anniversary shows. 10 years ago already?!? That’s crazy. I was lucky enough to catch a few shows on that tour and I clearly remember (and feel!) the boom of the Stanlow pumps. So, so good live. Fingers crossed for a nice surprise in the set list but I don’t think it will happen. I will be at the Saturday night LPO. I was fortunate to be at the previous show in 2009 and I really enjoyed that, and I think with the tracks already mentioned that this show will be even better. Mark Crouch – Welcome to the comments! So they played “Stanlow” in 2008? Hmm. It’s not on the DVD they put out, so I did not know that. So you have tickets already for October then, eh? Have a great time and feel free to report back with your findings. I see OMD in six weeks with good friends, and I’m just grateful for my second OMD headlining show ever. Sorry, should have been clearer, it was the standard 4-piece shows rather than the LPO show (that was 2009). You need to watch that show! Mark Crouch – I realized that even if the syntax was ambiguous. Yeah, I do need to get around to watching that. It sometimes makes me sick how long I have a music video title that I paid good money for go in watched for decades. Yes, decades. Hah! I’m guilty of the same thing…time is always in short supply…. SimonH – It comes down to the wife loving films. Our scant entertainment time in a week is generally meted out to films. If it were strictly up to me, I’d watch music programs and the occasional film. to make this comment in. there is something to look forward to. and not double 45 rpm though. negative1ne: Yeah, I got the email from the OMD list. Everybody’s milking this vinyl trend. I have original pressings of albums one and four. I stupidly got rid of albums two and three when initially buying CDs of those titles. I actually got my copy of the debut [mint blue/orange -1st pressing] for about $30 in the early 90s. Around the same time that I found a UK pressing of “Dazzle Ships” in a store cheaply. But since I just want them for the collector’s sickness, I would prefer [cheaper] original pressings of “Organisation” and “Architecture + Morality” that I’ll never actually worry about playing.